*Last week a chemist in Massachusetts was charged with obstruction of justice after she admitted to rigging drug samples often used to determine the guilt or innocence of defendants in criminal court cases. Annie Dookhan tested more than 60,000 drug samples over nine years at a Boston state lab. While co-workers performed an average of 50 to 150 tests each month Dookhan routinely performed 500 tests a month. When co-workers complained for several years about her questionable tactics, their concerns were ignored. Then in 2011 Dookhan lied under oath about samples she tested. And in 2010 she claimed to have a college degree that she never obtained. Investigators say she did it to be recognized as a good employee. Now the state of Massachusetts could face lawsuits and have to overturn convictions of those affected. Last year a juvenile judge was sentenced to 28 years in prison for what Pennsylvania prosecutors called a “cash for kids” scandal. He was convicted of taking bribes of more than $1million from for-profit detention center contractors, promoting the close of state-run facilities and then sentencing first-time offenders – some as young as ten – to incarceration to increase the numbers in those new juvenile jails. Juvenile conviction rates in the former judge Mark Ciavarella’s jurisdiction were double and triple the number of convictions in other counties for at least five years before any formal investigation occurred in 2009. In the end the Pennsylvania Supreme Court was forced to dismiss 4,000 juvenile cases over which Ciavarella presided between 2003 and 2008. Walking away wasn’t that simple for some children caught up in Ciavarellas’s scheme. At least one of them committed suicide. His mother said it was because of her child’s experience while behind bars. These are just four examples of why nobody should think that just because you’re innocent there’s nothing to fear and justice will prevail. From crooked (wannabe) cops to greedy judges and lazy employees, justice is only as blind as the people in charge of it. When I grew up, my mother used to tell me “Say where you’re going and go where you say” whenever I left the house. That was her way of holding me accountable. Unfortunately, some people don’t have the parental guidance in childhood or the discipline in adulthood to understand the importance of accountability. Even when you’ve done nothing wrong, you might find yourself at the mercy of people who don’t want to see you succeed and consider it their mission to see you fail. Put the odds in your favor and don’t tempt the crooked, greedy or the lazy, because justice is rarely – if ever – blind. 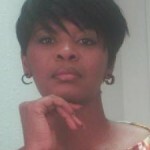 Steffanie is a freelance journalist living in the Dallas, Texas metroplex. Send comments, questions and speaking requests to teamtcb.tcb@gmail.com.